The “green” topic follows the “youngsters”, which is quite natural for the Russian language. Traditionally these words put together sound slightly derogatory. However, “green” also means fresh, new and healthy. 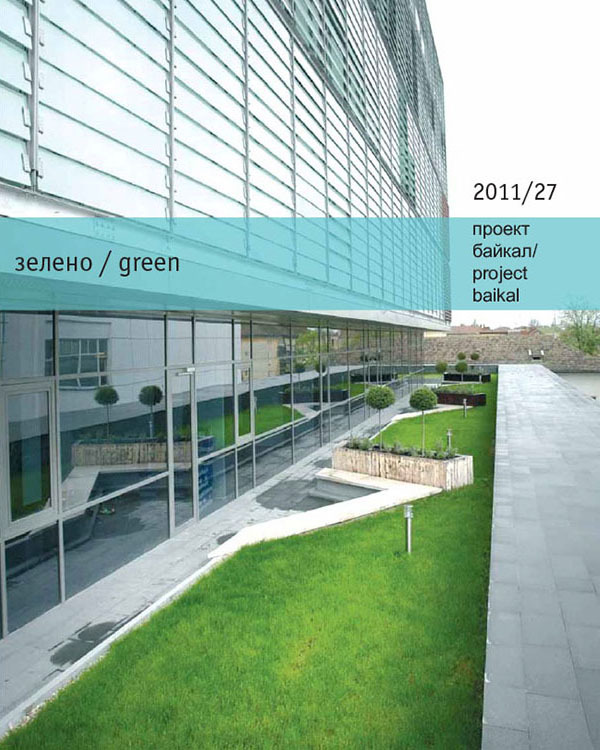 For Russia, and for Siberia in particular, “green” architecture does sound new and fresh. Forced by the anxious reality, we are addressing this topic intentionally. The ecological crisis, growing energy prices, water, air and food deficits… Alexander Rappaport, our regular author, writes: “ It has been tolerable until a certain time, but under transition to the global civilization, as the nature is destroyed, and swellings of megapolises expand incredibly fast, the size and the significance of all these problems may grow a hundredfold”. However, for this very severe Siberian reality the newness of “green” architecture may turn out to be well-forgotten old. A traditional Siberian house used to be built on principles of saving and environmental friendliness– one could not survive in Siberia otherwise. Probably, in our turbulent times, it is high time to fasten “green belts”. But we should keep from enthusiastic sticking of popular green labels or repainting of signboards into green color. We should avoid being drowned in paper formalities under “green” slogans. And we should prevent the Earth from turning into the planet “Kin-dza-dza”. GRIGORYEVA, Elena. green. project baikal, Russian Federation, n. 27, p. 1-1, feb. 2011. ISSN 2309-3072. Available at: <http://www.projectbaikal.com/index.php/pb/article/view/43>. Date accessed: 22 apr. 2019. doi: https://doi.org/10.7480/projectbaikal.27.43.